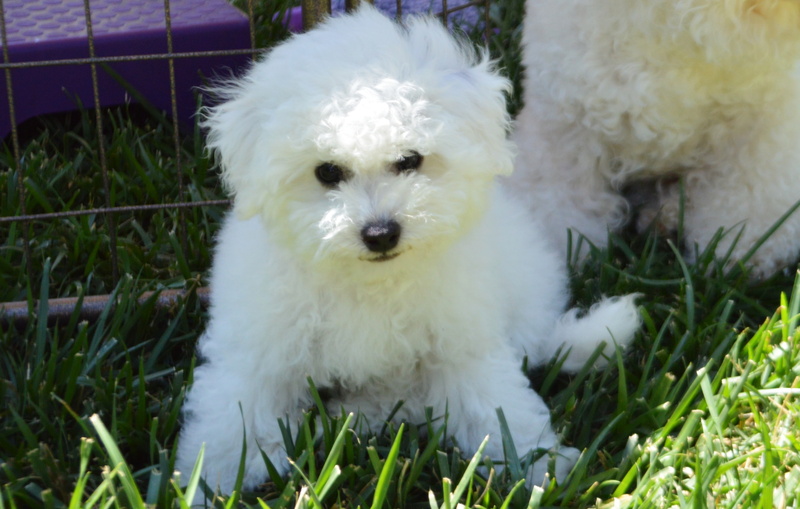 For information about available Bichon puppies, you may email adrienne@californiabichons.com, fill out the contact form at the bottom of the page, or text (530)308-3433. (I am hit or miss with phone calls.) Information about pricing and the process is below. Enjoy these pictures and videos of our beautiful puppies! Precious Babies- 5 weeks old! Below is a video of our “Puppy Pavillion” where our puppies love to romp and play! Bye, Bye, Bertie! We had Bertie a few extra weeks while his new owner recovered from an emergency surgery. What a sweet boy! 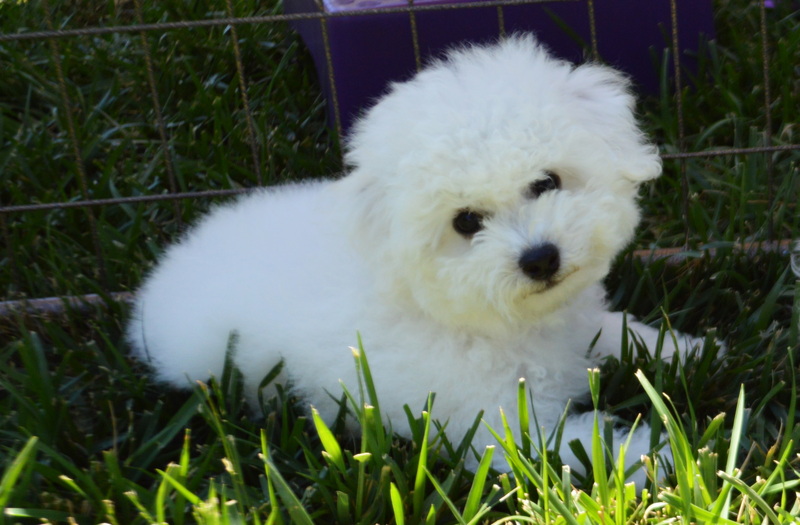 What is special about a California Bichon puppy? 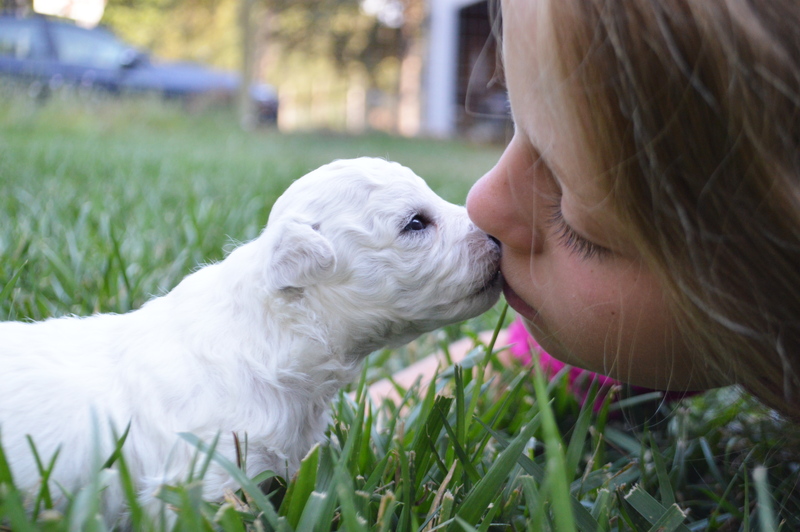 Our puppies are raised in a warm and wholesome environment filled with affection and laughter. They love to be cuddled and kissed. We are often asked by friends and new owners how we can bear to part with our sweet puppies. Our children take pictures of each puppy just prior to them going home and write about what they loved about that particular puppy. This helps with the separation. This also explains why we have so many pictures of our beautiful puppies! What about housebreaking? By taking our puppies out to potty regularly from about 5 weeks old (weather permitting) we give our puppies the best possible start with housebreaking. Their inside pen is lined with paper. Pictures of our excellent puppy setup are below. With their bedding, food, water, and toys on one side of the pen, they will potty on the other side. The paper is replaced frequently. From an early age, learning to potty away from the bedding, etc., prepares them for crate training. By about 7 weeks they begin learning to follow mom out the doggy door to potty outside. Crate training is the best method for housebreaking your new puppy. Our puppies have a small crate (not pictured) in their play areas, so they are used to crates. You may replicate the puppy setup we use in your home. Just for the asking, we’ll even give you a huge supply of the paper we use, which may be all you’ll ever need! What is included? Our puppies go to their new homes with current vaccinations and deworming and an AKC microchip. 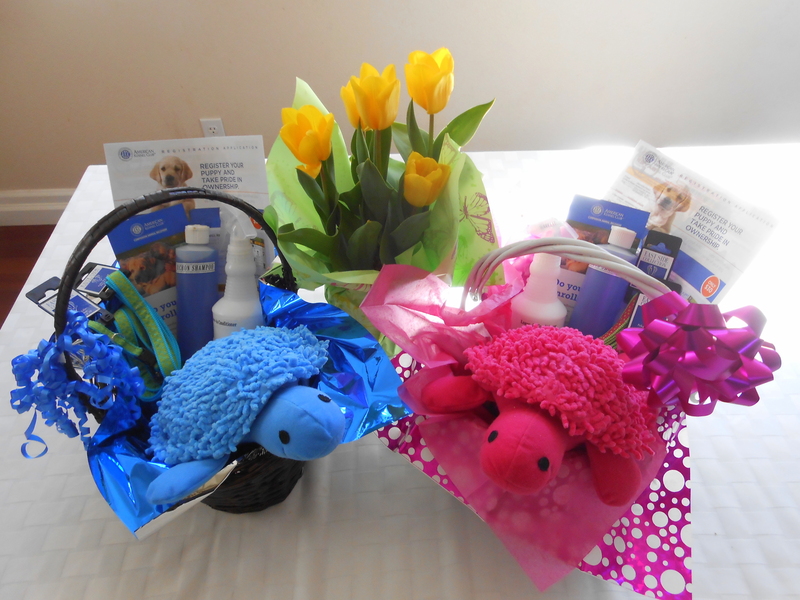 Also included is a Deluxe Puppy Pack, which includes the AKC registration papers, AKC microchip registration form, health record, a puppy toy, puppy food, a new collar and leash, and samples of Bio-Groom Shampoo and Coat Handler leave-in conditioner. You may also take an ample supply of the paper we use for housebreaking, if you like. Our puppies are thoroughly examined by our veterinarian at about 8 weeks. What is the price? The “pet price” (which doesn’t include breeding rights) for a puppy is $2500. A puppy is reserved with a $600 deposit, and in the order of deposits received. You may place a deposit via Visa/Mastercard, Paypal, personal check, or cashiers check. The deposit is refundable until the puppies are 6 weeks old so that you have an opportunity to meet your puppy and the parents. When I receive your deposit I will email or mail a copy of your “Puppy Deposit Receipt” for your records. The balance of the price is paid when you pick up your puppy. For this I am able to accept Visa/Mastercard, Paypal, cash, or cashiers check. *Please note that I do not accept Western Union and would never ask for payment that way. If a breeder asks for Western Union, it is a red flag that they are a scam. What is the procedure? When you have reserved a puppy, I will email pictures of your growing puppy to you every few weeks or so after his/her eyes are open. Your puppy will be available to go home with you after he/she is 9 weeks old. We will schedule your visit to our home to pick up your puppy. During this memorable visit you will become acquainted with your new puppy and his/her parents- don’t forget your camera! You will also become familiar with the environment in which your puppy has been raised. You are visiting our home- we are not a kennel. 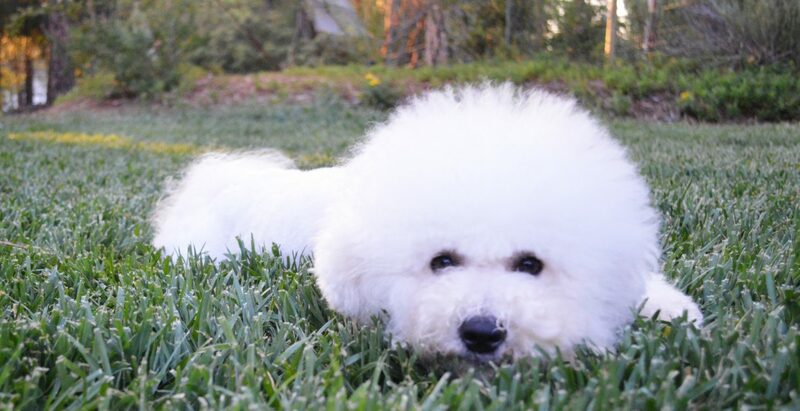 Please do not bring other pets with you for the safety and health of our Bichons and puppies. During this visit we will review the AKC paperwork and microchip registration. You will receive copies of the Purchase Contract, Health Guarantee, Pedigree, and Health Record. We will spend time discussing any questions you may have. Then you will take your new baby home! Here are Wendell, Ruby, and CoCo Chanel. 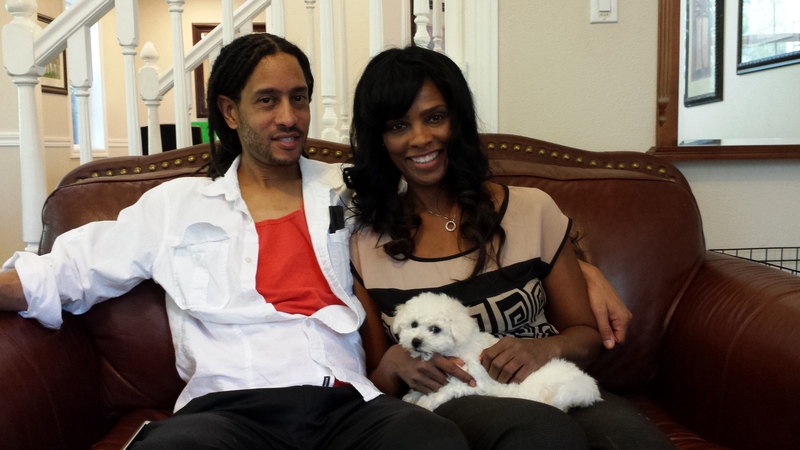 My family loved listening to Wendell, a professional jazz pianist, perform some groovy jazz tunes when he and his lovely wife, Ruby, visited to pick up CoCo. Thank you! Please enjoy these pictures of our previous sweet puppies. Click on a picture to view it full screen.